eBook available through Amazon, iBooks, and B&N. Also available through Kindle Unlimited. Audiobook available on Audible and iTunes. 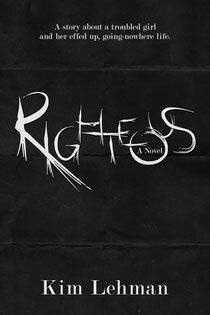 Quick witted, sharp-tongued, eighteen-year-old Righteous Andrews is a troubled teen. At the start of her senior year of high school she doesn’t have any friends, she lives in a trailer park with her emotionally deranged mother, and the only person she can confide in is a seventy-five-year old woman with dementia who can’t remember a thing she says. And because of her mediocre grades, Righteous’ future is just as bleak; she is pretty much guaranteed to get into the University of Nowhere. Through it all she maintains a strong demeanor, but inside she struggles to get over her past - a father who deserted her before she was even born and the friends who turned their backs on her when she needed them most. Everything that has happened has left her with questions, it’s made her guarded, untrusting, and it’s ruined every new relationship she has. Just when she thinks her life cannot possibly get any worse, on the first day of her senior year, she gets in trouble and lands in the principal’s office… again. There she meets Colt Jackson, the new kid. He seems to start showing up everywhere she doesn’t want him to be. Soon her crazy life is no longer just crazy… it’s perpetually doomed. At least, that’s what she thinks.